Colleagues, here is the first blog for 2019. Happy New Year to you all; what a start we have had to the year. Firstly, I would like to congratulate everyone who was recognised in the Queen's New Year Honours list, especially the seven members of BTP including PC Jessica Bullough QPM and PC Mark Renshaw BEM. As this recognition was being given for the bravery of officers dealing with terrorists, several more colleagues were called on to show extraordinary courage. You're no doubt aware that on New Year's Eve, four of our officers in Manchester were involved in yet another attack. Two members of the public were seriously injured and our own PS Lee Valentine was stabbed. I can't imagine how this attack impacted on families and colleagues who had so recently been affected by the Manchester Arena attack, however, I am very pleased to report that Lee is recovering well and is being supported by both BTP and this Federation. This attack is another example of the type of threats police officers are facing, especially on public transport. If it wasn't for the intervention of our courageous colleagues, the outcome could have been very different. In BTP we have heroes in our ranks and over and over again these men and women do what is expected of them, running towards danger when many would run in the opposite direction. Within days of this incident, BTP was in the news again following the unspeakable murder of a passenger on a train between Guildford and London. Clearly, I can't make comment on this investigation other than to say the response of BTP officers was again exceptional, timely and very professional. Ours is a job like no other. To the people who tragically lost a treasured loved one on that day, we can only offer our sincere condolences. One of the first meetings we had this month was with the Chairs and General Secretaries of Police Federation of England and Wales, Civil Nuclear Police Federation and the Defence Police Federation. The meeting was an opportunity for national non-Home Office Federations to consider how best we can work together on matters such as pay, police regulations and mental health/wellbeing. It was interesting to note that we are all experiencing very similar concerns, thoughts and plans. Although we cover different policing jurisdictions, ultimately a police officer's role is similar no matter what force you are part of. Our hope is that working together more regularly and campaigning for change will assist us in our negotiations on pay, pensions and other issues. This month also saw our Management Board meeting take place in London. Three times a year the Chairs and Secretaries of Federation committees across the force area come together and report on the local matters that affect you. We covered issues including pay, the ongoing situation in Scotland, Brexit, regulations, training, our annual conference, ill health dismissal, JRFT, and media coverage to name but a few. There are a couple of vacancies on London South committee and there will be an advert for officers to apply. If you are based in B Division London South area and want to find out more about how you can support your colleagues as a Fed Rep, please contact PC Brian Williams. He can answer your questions and advise you on how to apply. Brian Williams has also volunteered to take part in a working group looking at the single patrol strategy with ACC O'Callaghan. Debi Rouse from Wales and Midlands has agreed to work with Supt Mark Cleland looking at ways assaults on our officers can be reduced. I thank both Brian and Debi for assisting with two very important issues that impact on our colleagues. Good luck to both. We have been invited to sit in on Brexit Gold Group meetings. As yet there are no changes to normal business, but I think we all understand that could change depending on what happens on 29th March 2019. Resources could be required, and shifts may be changed but currently there are no plans for this. If we receive any information suggesting otherwise then we will update you as soon as possible. Any such changes will clearly fall under the exigencies of duty criteria. Finally, this month, we had our first formal meeting with the new CEO of the British Transport Police Authority, Ian Pigden-Bennett. Over the coming months, we hope we can develop a good working relationship where we can share views and opinions. At this particular meeting we discussed various topics: the funding of BTP linking in with firearms, mental health and wellbeing; ill health dismissal; the quality of uniform; assaults on officers; the increase in legal costs and finally our annual conference 2019. 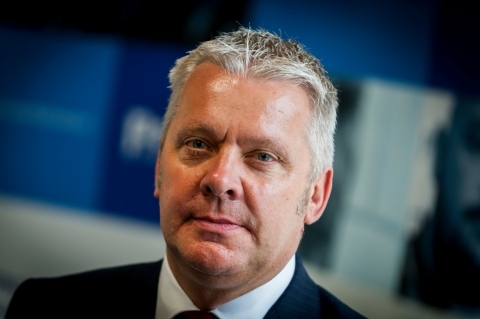 There is a lot for the new CEO to take on board, nevertheless he gave us ample opportunity to put our points across and provide him with our understanding of what the policing world looks like from your perspective, and to be honest that's a big positive. Many of the matters we discussed are being explored and addressed by the force so further updates will follow. It wouldn't be a Chairman's blog without mention of the ongoing matters in Scotland. Despite recent headlines, there is little to update you on just now. We're waiting for the outcome of the consultation between BTP/A and Police Scotland and the SPA, all of whom are working through alternatives to full integration that improve accountability in Scotland. In the meantime, I have written to the Convener of the Scottish Justice Committee updating the committee on our understanding of the current situation. The Joint Program Board meetings should be back up and running soon; no dates have been published yet, but we are assured there will be some meetings scheduled soon. I mention our annual conference later in this blog but it is worth mentioning that we are holding this year's conference in Edinburgh and hopefully the Cabinet Secretary will provide further updates regarding railway Policing in Scotland. This year we will press the Scottish Government to provide our officers and staff with the reassurances they have sought for more than three years regarding their futures, both in BTP and policing in general. This is the year integration was to be delivered and although we welcome the change in direction, we cannot underestimate the importance of lifting the continued level of uncertainty our officers have suffered. Let's hope that comes sooner rather than later. The first NNM of 2019 takes place next month and there are still numerous issues to resolve, especially regarding having accessible terms and conditions. The Management Board has invited me to approach the Department for Transport to seek support in mirroring Police Regulations if terms and conditions are not resolved within the Force. I have been asked to remind officers regarding the updating of KIM and ensuring your personal property management is up to date so you are compliant with Force policy. Let us all make sure we don't fall foul and end up having to explain why it hasn't been completed. In other news, we are planning this years' annual Federation conference in Edinburgh. Twelve officers have been invited to attend this year's conference and awards ceremony and receive a BTP Federation Award of Excellence. Thank you to all those officers who nominated the award winners. The panel had a difficult task identify the final seven awards; I look forward to meeting them all of the winners and thanking them for their continued efforts. I am now in the process of starting to prepare my speech for both the awards ceremony and for conference where I will be sharing your views and concerns with Ministers, Authority members, stakeholders and other fraternal guests. Although conference is an opportunity to raise concerns and hopefully highlight what is important to you the frontline, it is also a great opportunity to showcase the excellent work of our officers. Keep your eyes open for updates on social media and our website where you will see what we are doing on your behalf. It can be tricky to find things to smile about at this time of year. Christmas is a distant memory, the nights are long, and warmer weather is a way off. So, spare a thought for officers like Leon McLeod, Jim Carty and many others who are spending the dark evenings training for marathons and other fundraising attempts. You'll hear more about their endeavors in the weeks ahead. What you may not realise is that through the Federation lottery you support a raft of charities each year. Participating officers can nominate good causes to receive a grant towards their vital work from lottery proceeds. Last year almost �9000 was donated to charities including Children With Cancer UK, Samaritans, Warrington Heart Support Group, the Rupert Fund, and the fund set up to support families affected by the Manchester Arena attack. Thank you to all of our lottery supporters - your subs help to change lives and that's certainly something to smile about. "Stay positive and happy. Work hard and don't give up hope. Be open to criticism and keep learning. Surround yourself with happy, warm and genuine people".